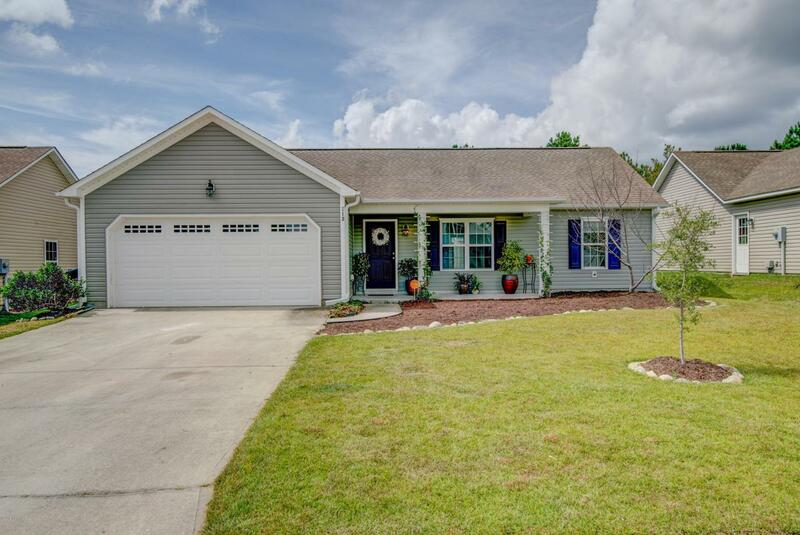 Charming 3 bedroom home located only 5 minutes from Topsail Island and Surf City beaches, shopping and dining. 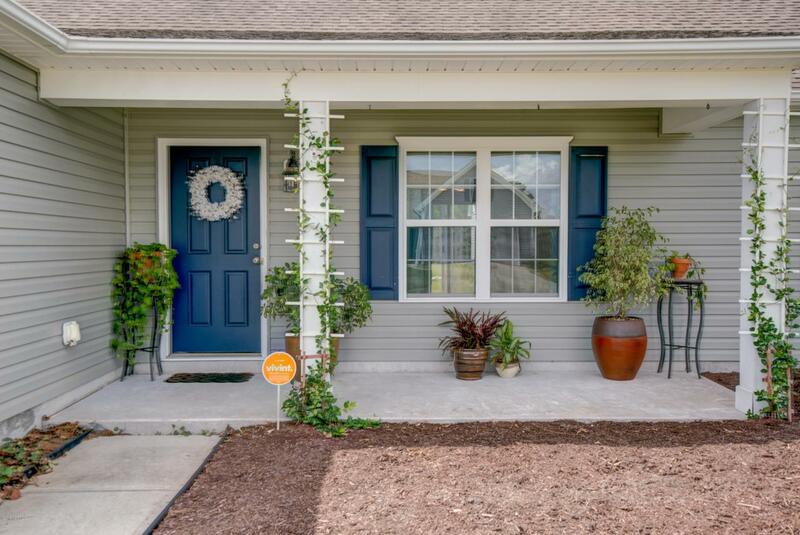 The Neighborhoods of Holly Ridge is also only a short commute to Wilmington, Jacksonville, Camp Lejeune, MARSOC, and the New River Air Station. 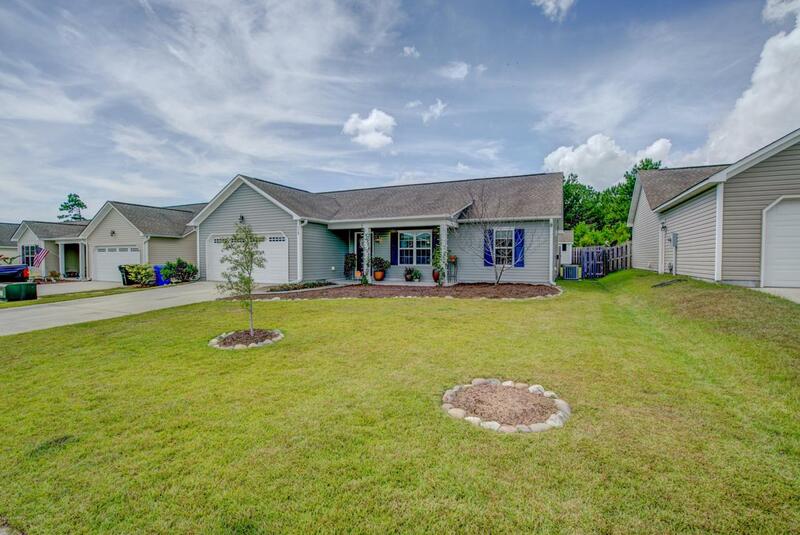 This home boasts 3 bedrooms, 2 full baths, new flooring, updated appliances, vaulted ceilings, large private back yard with storage shed and privacy fence and a 2 car garage. The family room is open to the kitchen and dining area making hosting a breeze. The master en suite is tucked off to one side of the home for added privacy while the other 2 bedrooms and full bath are across the home. 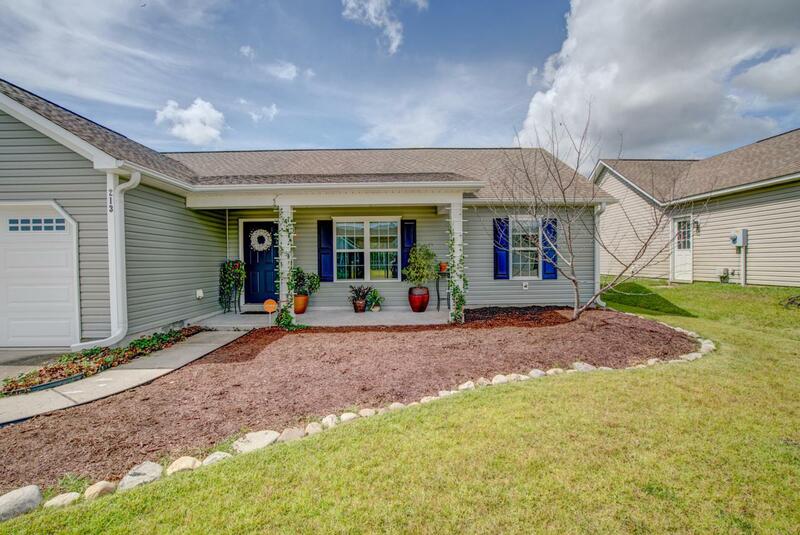 This home is move in ready and priced to sell, call to schedule your showing today.